​They don't make 'em like they used to. That enduring phrase is certainly applicable to the domineering leaders of the football of yesteryear. Sure, there's some persisting examples nowadays, but it's not the same. It can't be. The changing laws of the game, particular on the tackling side of things, combined with the increased individualism that has arrived through social media, have made sure of this. So, it's only right that we continue to celebrate the great club captains of the past, that continually dragged their sides kicking and screaming towards domestic glory. It's a testament to Roy Keane's incredible skill as a leader that, unfortunately, that often overshadows his contributions to that infamous Manchester United side as a player. Perhaps it's because Keane's combative style of play goes hand in hand with his approach to leadership. He was the archetypal enforcer, capable of cajoling his teammates into action whenever he pleased, with a deep bark or piercing stare. But he could also be a serenely composed passer of the ball when required upon. With nine major honours collected in his tenure as captain, he is the Red Devils' most successful leader, and his four Premier League trophies make him the second most successful captain in the history of the league. It's fitting that this man comes after Keane, because it's rare that one is mentioned without allusions to the other. As the two preeminent leaders of their generation, of the two most successful and celebrated teams of this period, the rivalry was inevitable. 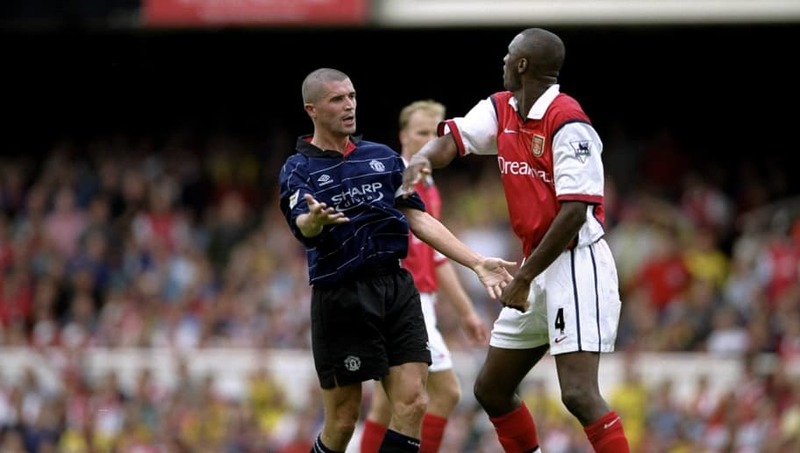 While others were understandably intimidated by Keane's ruthless demeanour, on and off the pitch, Patrick Vieira was seemingly the only one willing to stand up to the Irishman. Naturally, the two duly engaged in probably the greatest capitano-o-capitano battle the Premier League has ever seen. After taking over from Tony Adams in 2002, the Frenchman led Arsenal to a Premier League and FA Cup triumph in three years of captaincy, adding to the brace of both trophies he had accrued in his time before that. He has also been able to translate this leadership style to management with more success than Roy, at least so far. For some, the ability to lead and command seems to come preternaturally. Steven Gerrard was one of those few preordained leaders. The Liverpudlian was Reds captain for 12 years, garnering the armband at the unlikely age of 23 and only relinquishing it upon his departure from Merseyside in 2015. Though, as the player is all too aware of, a domestic trophy alluded him throughout his reign, this is not the only barometer of success. Of course, his two European trophies and five domestic cups help his legacy, but through thick and thin at Anfield, Gerrard remained loyal to the club and his teammates, and always set the bar with which others were judged. Unsurprisingly, Franz Beckenbauer is perhaps most synonymous with that 1974 World Cup triumph. But this should not necessarily overshadow his incredible achievements with Bayern Munich in the years prior to West Germany '74. In his seven years as Bayern's leader, he brought them three consecutive Bundesliga titles from '71 to '74, as well as a similar record in the European Cup from '73 to '76. As the fulcrum of that historic side, he also earned himself two Ballons d'Or in that period. It is a tribute to his enduring mastery of governance that he is one of only three men to win the World Cup as both a player and a manager. His nickname of 'Der Kaiser' (or 'The Emperor') illustrates the esteem with which he was held by teammates and the public alike. An outlier in this list, if only because he was not necessarily the domineering, combative presence that the others were, Del Piero was still a truly formidable leader. With his diminutive stature and playmaker role sometimes preventing him from asserting himself in a stereotypical fashion, the Italian was forced to lead his team by the example he set on the pitch. He was also known for his genial and kind personality, and was always there for teammates in need of a chat or a morale boost. In his time at Juventus, he won eight Serie A titles, two of which were scrubbed off following the Calciopoli scandal. It was in that period of controversy and shame that Del Piero showed his true greatness, staying with I Bianconeri through their relegation and guiding them back to the top of Italian football. When you think of the great Barcelona captains, of which there have been many, it is probably Carles Puyol that sticks in the mind. And that's not just recency bias. The Spaniard is the only man on this list to play out his entire career with one team. In the 15 years he spent at the club, Puyol was captain of La Blaugrana for 10. In that role, he won six La Liga titles, three Champions Leagues and two Copa del Reys. While his footballing acumen and unrelenting spirit were a massive part of these successes, he was also a compassionate and generous person. This is perhaps best encapsulated by his handing of the 2011 Champions League trophy to Eric Abidal, following his recovery from a tumour. This article is brought to you by Aquaman. In cinemas soon. Check out the trailer below.